Our PREMIUM SLEEVES are sold in a 50 pack and are 125% thicker than our standard thickness sleeves. 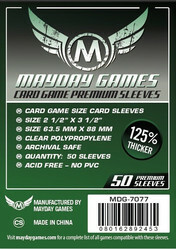 These sleeves offer a sturdier case and stronger protection for your cards. 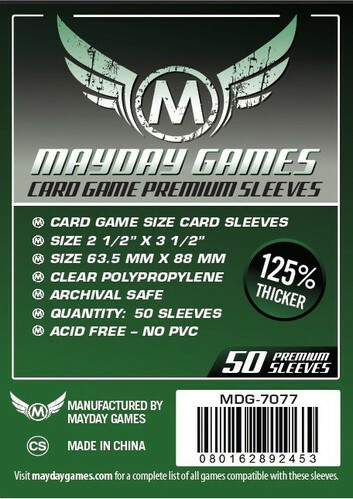 If you have a rare or expensive game and just can't bear to have the cards looking anything but pristine then this is the card sleeve for you! This sleeve set is a 50 pack set of card sleeves that are designed to protect any card with dimensions of 63.5 MM X 88 MM, or 2 1/2" x 3 1/2" .